Chewy, homemade flatbread makes any meal seem special. Use in place of pitas, bread, or crackers! No need for special mixing equipment. Your hands will work just fine. Slowly incorporate the yogurt. If you herbs are full of moisture you may only need 1/2 cup yogurt. The dough should just pull together and release from your hands. Combine the flour, baking powder, salt, and parsley in a medium mixing bowl. Add 1/4 cup yogurt at a time, mixing until the dough is smooth. Wrap the dough in plastic and let rest for 30 minutes to an hour. Divide the dough into six equal portions. Heat a large nonstick skillet or a griddle over medium-high heat. Transfer the dough to the griddle one piece at a time, then cook for one to two minutes per side, flipping to the second side when you start to see the dough rise. Repeat with the remaining dough balls. Serve immediately or let cool, wrap in two layers of plastic and freeze for up to three months. 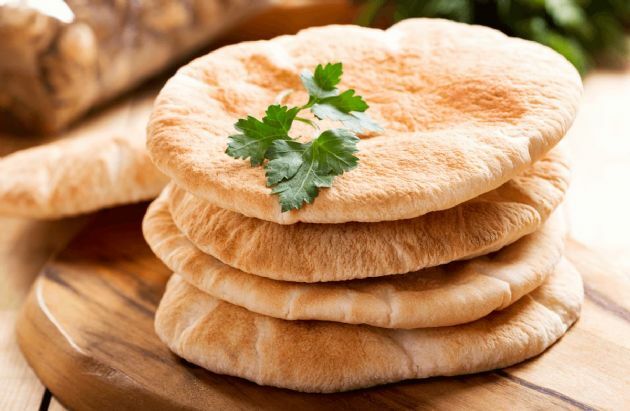 Serving Size: 1 flatbread per person using 2 ounces of dough.